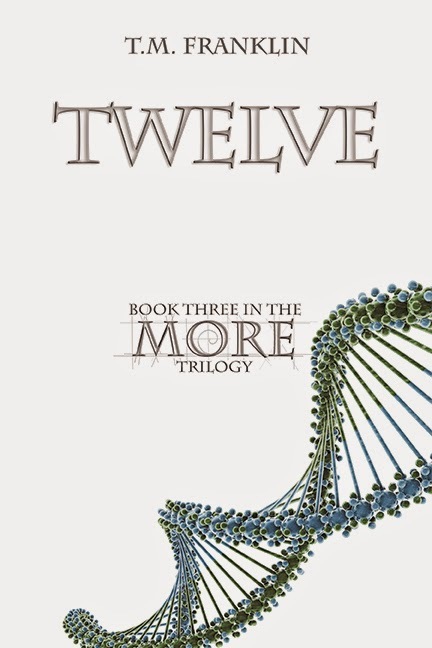 To celebrate the recent release of TWELVE, Book 3 of the MORE Series, T.M. Franklin (How to Get Ainsley Bishop to Fall in Love with You) is back to answer seven more random questions about TWELVE. 1. TWELVE begins with Ava and Caleb trying to rescue Sophie, not that she appreciates it. Tell me about a time someone did something for you that you didn’t appreciate or understand until later. I think a lot of what my parents did falls under this category. I always thought my dad was so strict (as did my friends) but really, in the end, I didn’t miss out on anything really important. And I came to really appreciate their parenting when I had my own kids. 2. Tiernan is one of my favorite characters, and his choice at novel’s end made me so sad! What is he doing right now? Does he ever see Ava and Caleb again? 3. The dynamic between Emma and Ava is so layered and compelling. What inspires the nuances of their bond? Did you ever envision a different conclusion for their relationship? I think sisters often have a love-hate thing going on. They drive each other crazy, but in the end have each other’s back. It’s a unique relationship, and even though Emma and Ava didn’t grow up together, I think that aspect is still there. It’s also an examination of how their environment affected their beliefs and goals. Ava, as we knew, grew up with adoptive parents. Emma did not. The differences in their upbringing account for a lot – as we’ll see even clearer in TWELVE. And no, their relationship evolved as I always intended. I never imagined anything different. 4. Elias Borré wants to create an ideal world where his children are by his side. What does your ideal day with your children look like? Well, my kids are almost grown (my youngest is a senior in high school) so it’s definitely different than it used to be. I enjoy spending time doing anything with my boys these days. 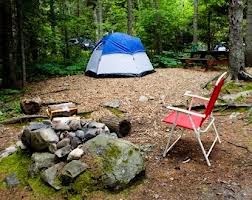 We go camping together and that’s great – to get away from everything else and just be a family. 5. 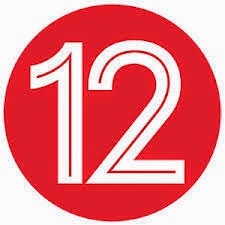 An era of unprecedented Racial harmony is introduced at the end of TWELVE. What is New Elysia’s new motto? What’s the symbol on its flag? Is there a corresponding anthem? Ha ha! They need an anthem, don’t they? New Elysia is entering a time of transition. Everything that’s guided their society for centuries is in flux. They’re learning how to deal with Half-Breeds, and even humans, in a whole new way. It will definitely take some time to get over old prejudices and forge a new future. I predict some stumbling along the way, but I think they’re on the right track. 6. Many of TWELVE’s characters have been around since the start of the trilogy. Of Ava, Caleb, Tiernan, and Madeleine, whose evolution has surprised you the most and why? I think I’d have to say Tiernan. When I first created his character, he was basically Ava’s nemesis – the man from her nightmares. But as I fleshed out the other two books, I saw his role changing and he became more of a friend to Ava, which meant he really had to examine his own life and conscience. He’d always been a “go by the book, follow the rules” kind of guy, but she challenged him to really look at what he was doing and whether he really believed in it. In TWELVE, he’s particularly challenged to move out of his comfort zone. 7. Concluding a supernatural trilogy must involve a ton of editing. Which scene or plot bunny from TWELVE can you share that didn’t make it to the final cut? I originally planned to have Ava and Caleb (and some of the Guardians) set out to find the rest of the TWELVE, tracking them down in a race with the Rogues (like how they found Sophie). They’d succeed with some, others would fall into Borré’s clutches. I quickly realized, though, that doing this with each of the remaining TWELVE would bog down the plot too much, so I gave up on this idea. If any character published a tell-all book about living through the MORE trilogy, who would write it and what would it be called? Thank you, T.M., for your insights and candor, as always! Readers, you do not want to miss out on this exciting, engaging series. Grab your copies of MORE, The Guardians, and TWELVE today!